Sedan or open-top sedan? Cabriolet, Spider or Pick-up? The Citroën C3 Pluriel is a quick-change artist. 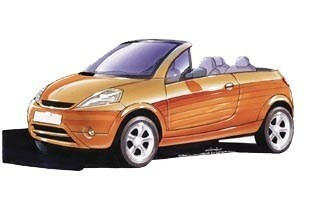 Coming out of the Pluriel (“plural”) Concept in 1999, its versatility and bold modularity charms in 2003. 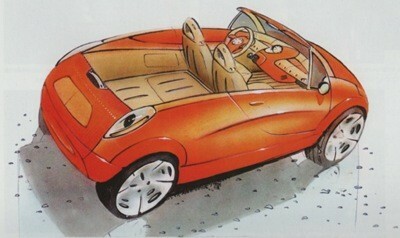 It even ventures a Charleston Limited Edition in 2008, honouring the Citroën 2 HP vehicle of the same name. 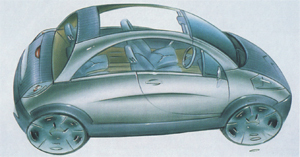 “A versatile little recreational cabriolet.” The bold project is tempting, and nothing more is needed for Citroën’s teams to adapt the 1999 Pluriel Concept to a C3 base. Built on a simple, curving line, the Citroën C3 Pluriel is revealed in 2003. It lives up to its name (“plural”) by its many configurations. Its side windows: can be lowered, with no frame. Its rear window: can retract into the trunk. Also with removable side arches and a “hobby” lower tailgate, a driver will have fun discovering all the possibilities, as a cabriolet, spider or pick-up. Its interior changes in 2005. Its exterior updates in 2008. Its life has been punctuated by Limited Editions, such as the Charleston, inspired by the eponymous Citroën 2 HP, to celebrate its 60th anniversary in 2008. The model’s retirement in 2010 was well deserved. A sense of freedom and openness - as well as many stylistic features of the Cactus M - can be found in the E-MEHARI.